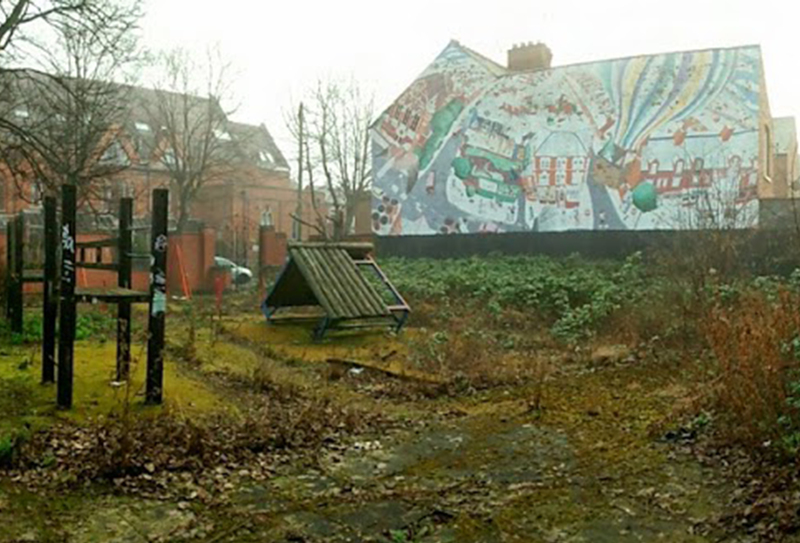 The site in Moira Street, in Belgrave, is overgrown and abandoned, but was once a popular, well-loved public space. Originally, the gated play area was created with climbing equipment, seating and a huge mural which is still visible from Melton Road. However, over the years the playground has fallen into disrepair and not been maintained for a number of years. The project is expected to take a few years to complete and will cost somewhere in the region of £5,000 to £10,000, said organiser Joseph Murphy. "It will be completed in phases," he said. "Hopefully over the next few years - structures first and then planting in the spring. We want to create a relaxing peaceful green space for the community. We are losing too many green spaces through urbanisation so hope fully this will tie into Leicester being a sustainable city." The land is owned by advertising agency JC Decaux, which has handed over the licence to Grace Works and offered to pay towards the clean-up costs. Construction firm SLM Builders will also give its time for free and help to bring the site back into use. Joseph said: "I used to walk past this derelict site for many years, and after hearing that it may be turned it to yet another car park I felt we had to act as we are seeing all too often the concrete urbanisation of our cites and a loss of green spaces." Grace Works colleague Ben Brown added: "There are lots reports and research that this has a detrimental effect on communities and to people's general health. As there is also plenty of research to show that community green spaces in the local areas has a positive impact on residents and there health and general wellbeing." Graceworks is working with the community to form a local group, called Friends of Moira Street Garden, which will help maintain the space once it has been created.